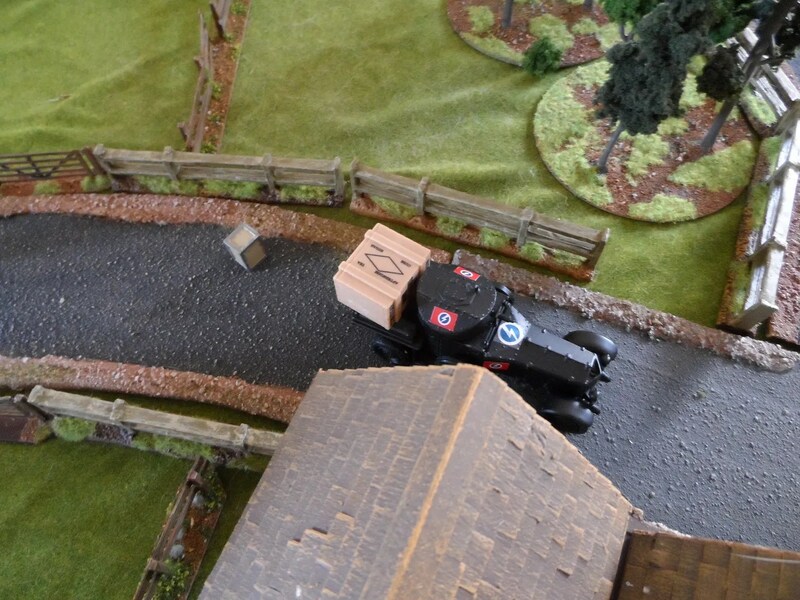 The MHC vehicles darted in an picked up tea chests under the noses of the blackshirts ! 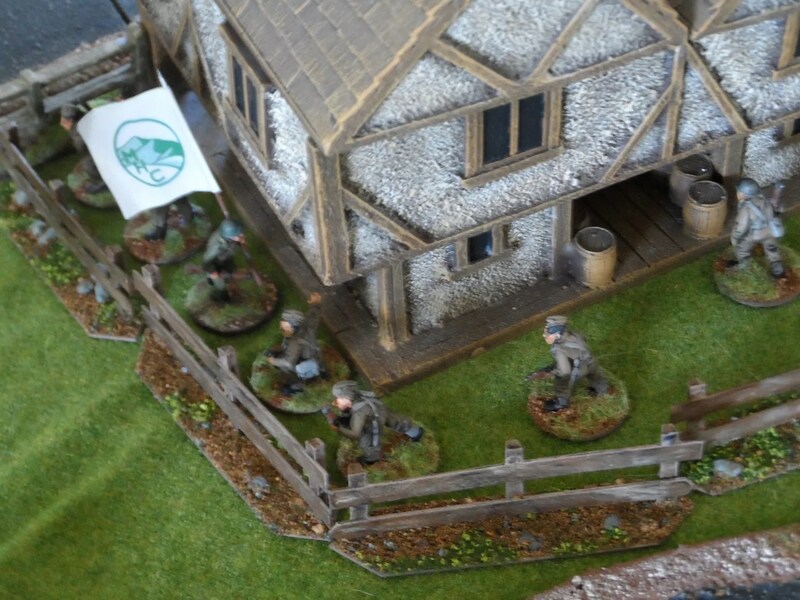 One of the Croydon Crushers got one, but was cruelly shot in the back after reaching MHC lines, so medic Doc Morrisey stepped in to haul the loot^^^^^ tea to safety for HM. 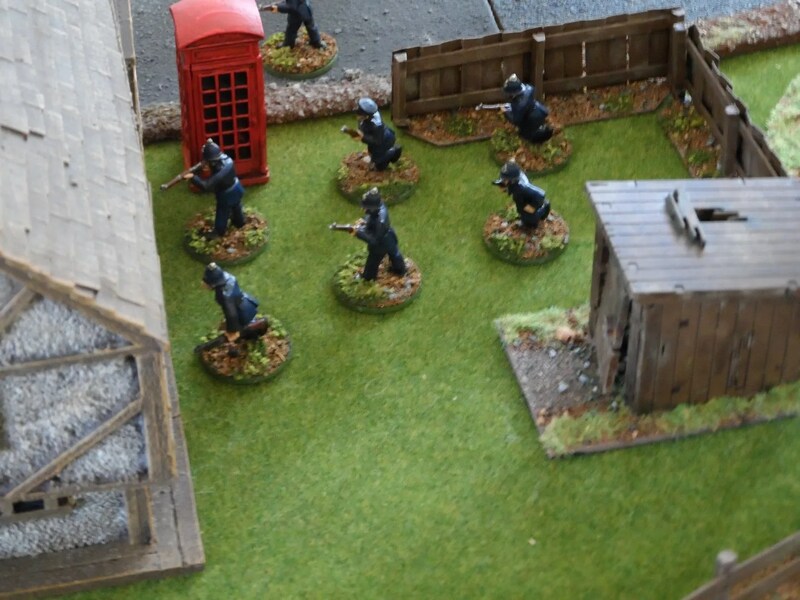 The wrong arm of the law decided no to run into the middle of the firefight but tried a flanking move that was beaten of before entering the pub ! 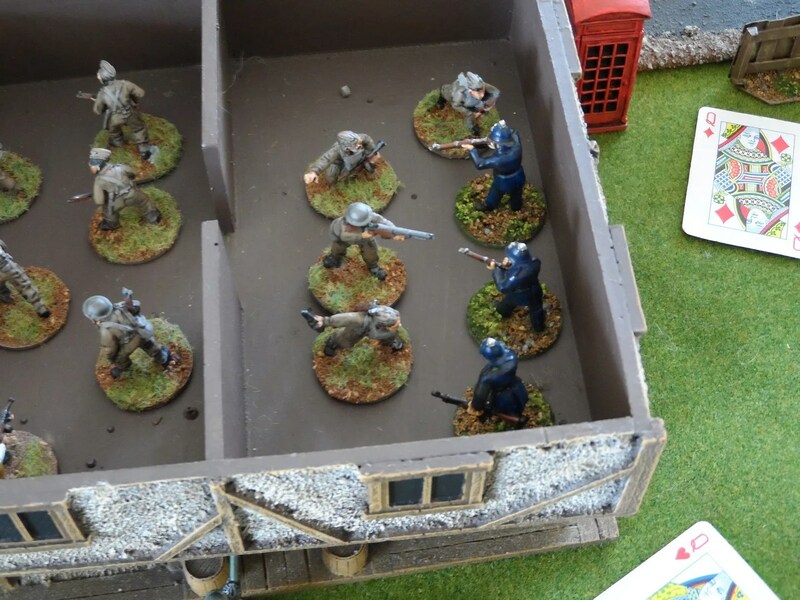 The BUF load up on sugar, and despite the best efforts of the armoured car escaped unsctahed – they were only 2 inches outside the range of the Morris’ BOYS anti-tank rifle ! 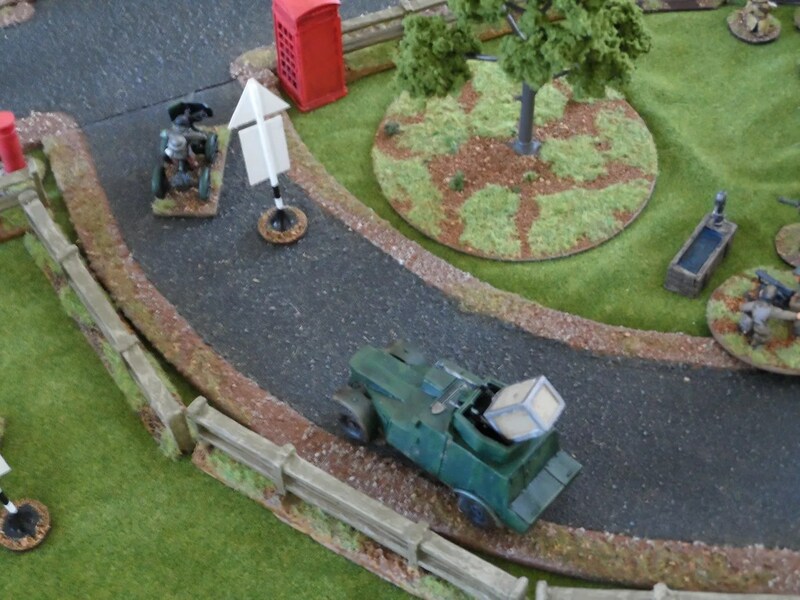 The last two remaining raw recruits drag their tea chests to cover ! The remaining MHC veterans defend the beer garde`n from BUF and other annoying thngs, like wasps. A very enjoyable game. 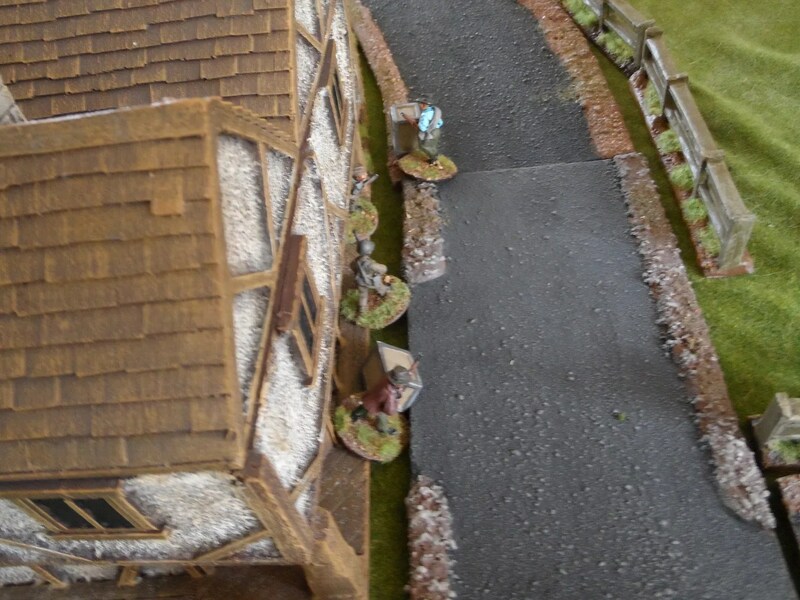 JP conceeded as he was down to less than 10 men, and I was down to 15 or so. We had both lost our commanders we forgot to invoke the rules on those incidences), he had lost his standard. In the end totting up the points it was 98 points for me, and 80 for him, so a closely fought contest that both sides had seen ebbing and flowing. It was avery short notice game and I’m surprised he scenario worked as well as it did.